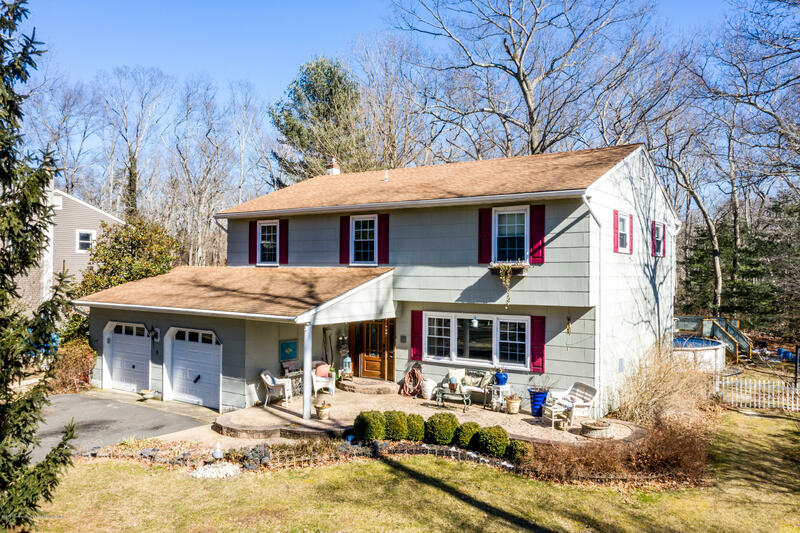 Charming Colonial With 4 Bedrooms, 2.5 Baths Offers Kitchen With Concrete Counters, Farm Sink, Double Oven, SS Appliance Package, Custom Center Island & Open Shelving. Living Room With Gas Fireplace, Custom Trim & Built-ins, Large Dining Room With French Doors to Private Yard with Above Ground Heated Pool. Beautiful, Bright, Family Room Has Ceramic Tiles, Built-ins & French Doors. Additional Pantry/Mudroom. Updated Main Bath With Double Sinks & Glass Tile Backsplash. Spacious Master Bedroom With Hardwood Floors, WIC & Updated Master Bath With Jaccuzzi Tub. Partially Finished Basement All On 1 Acre of Property.